If Ed Miliband achieved anything this week, it's putting energy back on the political map. "If we win the election 2015 the next Labour government will freeze gas and electricity prices until the start of 2017. Your bills will not rise. It will benefit millions of families and millions of businesses. That’s what I mean by a government that fights for you. That’s what I mean when I say Britain can do better than this. Now the companies aren’t going to like this because it will cost them more but they have been overcharging people for too long because of a market that doesn’t work. It’s time to reset the market. So we will pass legislation in our first year in office to do that, and have a regulator that will genuinely be on the customers’ side but also enable the investment we need. That’s how Britain will do better than this." We are told this is unaffordable, will halt investment and result in California type blackouts. Really? If so Scottish homes are in immediate danger of power cuts. ScottishPower is currently offering a deal that will fix your energy price until when? Yes, you guessed it 2017! The one valid point SSE made in their reaction was, “The Labour Party should put policy costs into general taxation, taking them off energy bills. This would wipe £110 off the average person’s bill and shift the cost away from those who can’t afford to pay and on to those who can". Putting the cost of energy policy onto domestic bills is a regressive form of taxation. The lights won't go off because the other big commitment in Ed's speech was a million green jobs created through the shift to a low carbon economy. As the TUC's Philip Pearson explains, the Energy Bill will be in force in 2015 and that sets out all the pre-conditions developers need to deliver the necessary generating capacity. Labour's planned Energy Security Board is also aimed at addressing this issue. The power companies should be careful what they wish for. The public are much more red than Ed on this issue, with 69% supporting the renationalisation of the energy industry. That is a measure of just how far the companies have lost public trust. It will be interesting to see if, as Left Foot Forward put it, "David Cameron will really risk siding with rip off energy firms this winter?" Of course the public are right, or indeed left, on this one. The weakness in Labour's plans are that they still rely on the 'kid on' energy market. You simply can't create a real market in this type of utility. You either bring it into public ownership or strictly regulate prices. 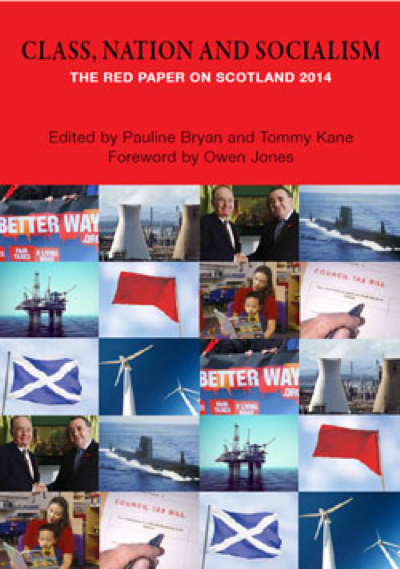 My energy chapter in the 'Red Paper on Scotland 2014' explains how and why in more detail. Ed's plan has to be seen as part of a wider strategy to focus on living standards in the run up to the election. A freeze on energy prices is actually a fairly modest step. If the energy companies don't like it - they can step aside and we can have a planned energy policy at a sensible price. Will care integration Bill make a difference? I was giving evidence at the Scottish Parliament's Health Committee today on the Public Bodies (Joint Working) Bill that aims to improve health and care integration. I covered three broad areas of the Bill. Firstly, the governance arrangements in the corporate body option are confused, particularly for staffing issues. As staff won't, in the main, be employed by the new organisations, it is unclear how major staffing decisions will be addressed. There are statutory and non-statutory procedures that need to be accommodated. This reminds me of the similar shambles in the recent Police Bill! Ministers have many powers of direction in the Bill and there is a legitimate concern that these will be used to impose a top down model of care integration. All the international studies show that this won't work. Secondly, the financial provisions are inadequate for the scale of the challenge ahead. The big goal of integration is to release cash from avoidable admissions to hospital, estimated at £1.5bn. I have always been sceptical about this figure, but now that health boards are demanding extra beds to cope with demand, supported by the Health Secretary, it is difficult to see where the extra funding is coming from. The key issue is how we fund social care. It is a national disgrace at present with a race to the bottom in quality and quantity. The service is increasingly being delivered by staff, barely above the minimum wage, on zero or nominal hour contracts. As one care worker put it to me recently, the shocking 15 minute visit is becoming the best that elderly people can expect. Thirdly, the Bill largely ignores staffing issues, a point I have covered in previous posts. Care is delivered by people not robots, but reading the Bill you wouldn't recognise that fact. There appears to be more concern about who sits on boards than the quality of care. The Committee Convenor reasonably posed the question, will this Bill make any difference? Sadly, I remain sceptical that it will. The success of care integration requires local design and a number of people actions, none of which are addressed in the Bill so far. 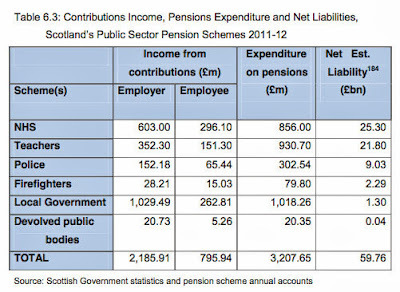 The Scottish Government has published a paper ‘Pensions in an Independent Scotland’. Its main aim is to reassure voters that their pensions will continue to be honoured in an independent Scotland with continuity of systems and regulation. The eye catching headline “Scottish independence: People in Scotland could get pensions earlier” is not quite what the paper says. The actual commitment is, “we would also reserve judgement on the increase to 67 between 2026 and 2028”. This means that the increase from 65 to 66 will be implemented and they will ‘reserve judgement’ on the next step. The retirement age has come under attack variously as a ‘gimmick’ and ‘unaffordable’. It may well be a gimmick as the actual commitment is a pretty modest review, but it is not necessarily unaffordable. The main factor in costing any pension scheme is life expectancy and this is significantly shorter in Scotland. In the occupational schemes I have negotiated this typically delivers a significant saving. However, that is also balanced by the concomitant higher death in service and higher number of ill health retirements in Scotland. This doesn’t immediately impact on state pension payments in an independent Scotland, but it will impact on higher benefits and NHS spending and that is ignored in the paper. We should also not forget that the real disgrace in Scotland is the huge disparities in life expectancy – nearly 30 years difference between the poorest and most affluent communities. Life expectancy is linked almost entirely to income and many men and women in our poorest communities will not live to collect a pension. They will also continue with automatic enrolment and establish a Scottish equivalent of the National Employment Savings Trust (NEST) providing a workplace pension scheme focused on people with low to moderate earnings, which would accept any employer wishing to use it. Somewhat unimaginatively, there are no proposals to address the problems highlighted by the OFT last week, including huge management fees charged by funds. Other small countries, like Holland, do much better and this looks like a missed opportunity to offer a better pensions system in an independent Scotland. I was making the point on the BBC this morning that the state pension does not provide an adequate income in retirement and we should put as big a focus on occupational pensions. People are working longer, largely because they have to, and this is impacting on the high levels of youth unemployment in Scotland. A number of commentators have highlighted the problem with the EU IORP Directive that requires cross border pension schemes to be fully funded. The Scottish Government’s solution is to negotiate transitional arrangements for cross border schemes. Obviously this may just be wishful thinking, but in practice many schemes are large enough to split and that gets around the Directive as well. More disappointing, is that the paper gives no commitment to fully implementing the Directive in relation to local government funds. As we have highlighted, these funds should be separated from day to day council funds and could be better used to support the Scottish economy. In 2016, the UK Government is planning to penalise employees who make sensible provision for their retirement in a contracted out pension scheme, by hitting them with a 1.4% increase in NI contributions. Employers will pay an additional 3.4%. The paper confirms that the UK Government estimates that the revenue raised through ending contracting-out for DB schemes will amount to around £6.1 billion in Great Britain in 2016. This is estimated to amount to around £520 million in Scotland in 2016. Of this around £320 million is estimated to be from public sector employers, £130 million from public sector employees and £80 million from private sector employees. Sadly, instead of returning this to workers and employers, the Scottish Government proposes pocketing this cash to their Treasury, in the same way as George Osborne plans. The current level of spending is set out in the paper including this table. However, this overstates costs as it does not include the impact of current changes. I would also have expected some actuarial calculations on projected costs and the paper is weak in this regard. Overall, this is a useful paper that describes pension arrangements in Scotland well. The headline on pension age is actually something of a distraction. It seeks to present a ‘steady as she goes’ picture of pensions in an independent Scotland in line with the general ‘Yes’ campaign strategy of reassurance. It therefore lacks imagination and doesn’t address many of the faults in the current system, some of which could be addressed using current or extended devolved powers as well as through independence. I was giving evidence to the Scottish Parliament's Economy Committee this morning on the draft budget. When it comes to the economy we have to be realistic about what Scottish budget can achieve. Government can support and mitigate but there are limitations. However, we can take action in Scotland with existing powers, while arguing for more. My key point was that our profoundly unequal society is at the root of Scotland's economic ills with the richest people 273 times wealthier than poorest. More than 40% of those below poverty are line in work and welfare cuts making matters worse. The big structural economic issue is the shift from wages to profits and income growth for the super rich. Austerity economics has resulted in longest and deepest recession for several generations. The recovery is taking too long and even IMF have said recently that the, "case for rapid deficit reduction in the wake of a crisis is increasingly difficult to support". The nascent economic recovery is still stuck at pre-recession levels and will stay there unless there is an increase in real wages rather than relying on private borrowing and a cut in personal savings. Employment is also stuck at pre-recession levels. The public sector in Scotland is down 52,000 jobs or 8.6% since its peak, while the private sector is down 5,000 or 0.3%. Self evidently the private sector has not plugged the gap. The Scottish Government can support job creation through public spending and boost the spending power of the lowest paid through the Scottish Living Wage. This has a direct impact on the local economy. This is the time to borrow for investment while money is cheap, but we also need action on taxation and tax dodging. We are also not doing enough to rebalance the economy from financing to productive industries. This requires greater investment in workforce skills. A topical issue today in the oil industry, but it has a wider impact. Some members of the committee were particularly exercised about the shift in funding from revenue to capital. No one disputes that capital investment is important, but there are risks if it is at the expense of revenue. There are significant leakages from capital spending, even allowing for the economic multiplier. You only have to see the disgraceful race to the bottom in the care sector, to understanding the damage revenue cuts can do. This week's IFS report also highlighted that Scotland's capital spending is 48% higher than the rest of the UK, while revenue is only 12.5% higher. Scotland Performs also needs a much wider range of indicators and it would help if it was kept up to date. Oxfam and the Carnegie Trust have shown how this could be done better. GDP is not the only measure. Any discussion about the budget inevitably gets us into robbing Peter to pay Paul. There are areas of spending including the regressive Council Tax freeze and ineffective small business bonus scheme that could be redirected. Public sector pay cuts, college regionalisation, local govt funding cuts and the dead end of regulatory reform are other areas of the budget that are doing little for the economy. Government MSPs are always keen to highlight wasteful PPP spending and there is even a separate annex to the budget that notably covers the last government's PPP schemes, but ignores the SNP PPP schemes! There was an understandable focus on fuel poverty and I explained the key elements, most of which are outside the control of the Scottish budget. But we could do more on energy efficiency with great economic spin offs. On broader energy policy the recent Audit Scotland report is a frank appraisal of progress towards the challenging targets. Spending is not at anticipated levels largely due to uncertainty over the UK energy market reforms. Finally, we need to take a different approach to the budget, breaking away from the silo culture. The debate about ring fencing the health budget would be very different if the focus was on tackling health inequalities. You could say the same about climate change, food strategy and others. Most of the big challenges require cross cutting solutions, so why not think about the budget in the same way. Scotland should be wary of joining the Chancellor’s new ‘dash for gas’ through fracking. It is unlikely to lower energy prices, has environmental risks and diverts attention from the medium term need to develop renewable energy. However, his Lib Dem colleagues gathering in Glasgow, appear at odds with that line in a policy paper. This says they take a "very different approach to that advocated by the chancellor, which would increase the UK's reliance on gas, and particularly on unconventional sources, ie shale gas". They add: “There is no realistic prospect of a 'shale gas revolution in the UK." 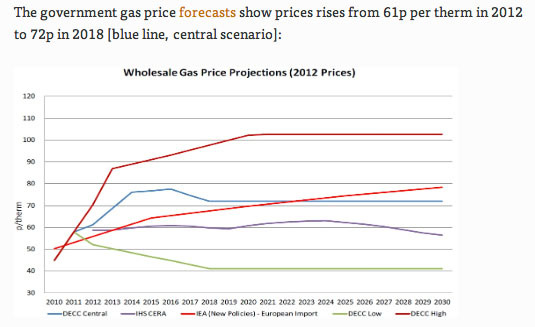 Whatever the environmental concerns a key issue is the impact on energy prices. The chair of the UK Fuel Poverty Advisory Group, Derek Lickorish argues, “Ministers have a duty to promote the extraction of shale gas because it has the potential to drive down the cost of energy”. Lets also not forget the politics. Osborne undoubtedly sees shale gas as his equivalent to Thatcher’s squandering of North Sea oil and gas. The huge failings of his economic policies can be massaged with this new resource. However, he has a couple of problems. As Rafael Behr points out in the New Statesman, shale gas in the Home Counties is not popular with the aging, nimby Tory party membership. Such grubby industries are usually reserved for the 'desolate' North, as a Tory minister said in an unguarded moment. In addition, Britain will miss even its current modest climate change targets. Our children are to be sacrificed for his re-election. An added complication is that Dart Energy, whose plans to extract methane gas in Scotland have been brought to a standstill amid public opposition, has temporarily ceased trading on the stock exchange as it seeks more money from investors. Production at its core project at Airth, near Falkirk looks like being pushed back by around a year. public opinion is understandably hostile and local opinion should be respected at potential sites. At best it might provide a partial alternative to insecure overseas supplies, but it isn’t a panacea and more work needs to be undertaken before such reserves are developed in Scotland. Fine words, but is the Scottish Government putting its money where its mouth is? Tucked away in an annex to the budget document is a comparison of budget allocations by portfolio since the SNP’s first full budget in 2008-9. I have extracted the main portfolios and displayed them below as a chart and a table. What they show is that local government is the only major portfolio to show an overall reduction in spending. The cynic might say, in difficult times push the difficult decisions as far away from ministers as possible – the ‘not me guv’ school of spin. Even these tables mask real cuts in funding. The apparent increase in funding over the next two years comes largely from increased revenue from Non-Domestic Rates. The General Resource Grant to councils is being cut from £7.189m this year to £6.971m next year and £6.809m the year after. In real terms the cut is even larger - £6.841m and £6.564m. In addition, a significant amount of spending is either ring fenced or has to be bid for like the Council Tax freeze, small business bonus, teacher numbers, police numbers (until totally centralised), change funds etc. Ministers get to make the ‘good news’ announcements, while councils announce the pain. No one disputes that the Scottish Government has to manage a difficult budget imposed by Westminster. But within that budget there are choices to be made and councils are clearly the losers. 'Class, Nation and Socialism: The Red Paper on Scotland 2014' is a new book by the Red Paper Collective. It is focused on the constitutional debate, but has a wider application in the battle of ideas for a fairer Scotland. I was at the book launch tonight together with many of the long list of fellow contributors to this publication. They include politicians, trade unionists and academics who have contributed a chapter on their own area of expertise. This is a book about the politics of social and economic change rather than constitutional change - the politics of class, not nationalism. There is plenty of vision and ideas, but laced with a pragmatic view of the possible, not the improbable. It also seeks to do what is often missing in the current national dialogue – putting the debate in a UK context. In the introduction, Owen Jones sets out why the outcome of the current debate in Scottish politics has clear ramifications in Britain and elsewhere. I have contributed two chapters to the book. Not sure how I got talked into that and apologies to my loved ones for the lost Easter holiday! In the first, I challenge the neo-liberal economic orthodoxies that drive the constitutional position of most of those on both sides of the debate. In the second, I deal with energy policy and offer a different way of delivering our energy needs. As the book has some hard messages for both nationalists and unionists, we expect criticism from all sides. That’s fine, even if it would be better if they read it first! This book challenges those who look to constitutional change rather than political change. Posing nation against class is a blind alley which will only reinforce Scotland’s exposure to the power of multinational capitalism. If there is to be a lasting settlement for devolution, the status quo cannot be the only alternative. Along with the Labour Movements in other parts of the UK we should explore the best constitutional solution to enable fairer redistribution of wealth and greater democratic control of our economies. The Herald ran a series of articles on the book this week and I have written a summary for the forthcoming edition of Scottish Left Review. The book ,as they say, is available in all good bookshops or through the website. If health and care integration in Scotland is to succeed, it needs to focus more on the people who deliver care than structures. Scottish Government plans for health and care integration are set out in the Public Bodies (Joint Working) Bill that is shortly to be considered by the Scottish Parliament. I have previously blogged about the Bill in general and our concerns about the impact on local democracy, given the massive powers given to ministers to intervene in local democratic decision making. Today, I was speaking at the Holyrood conference on health and care integration. My key message was that health and care is delivered by people, not robots. The Bill and the prior consultation process only gives the staffing aspects of care integration a passing mention. The success of any reform has to take account of the staffing context. Workers who have to deliver change are already operating under budget cuts with major job losses and a race to the bottom in quality, caused by outsourcing in the care sector without proper funding. Staff suffering from a real terms cut in their pay and conditions are unlikely to be highly motivated. We also need to recognise the history of care integration. I reckon we have had on average a new care integration initiative every eighteen months to two years over the recent period. I have a slide with a long list of legislation and reports. So many in fact that the legislators are running out of names for local partnerships! In this context staff could be forgiven for saying "here we go again!" The observant reader will note a theme here. Yes, it's all about people. Of course you have to get structures, systems and budgets right, but it's staff that deliver the service. In some parts of Scotland when the senior managers have fallen out, the service still got delivered because the staff at the sharp end got on with it. Not ideal, but it happens. Part of the solution is to establish a national and then local workforce strategies. Let's stop trying to constantly reinvent the wheel. Let's have a national framework for staff transfer including pensions. Consistent advice on the legal issues around secondments and managing staff on different conditions. The legal consequences of some decisions that local partnerships are likely to take are very complex and my legal colleagues should be rubbing their hands with glee at fees to be earned. There are procurement issues that may be sorted in the Procurement Bill, but I wouldn't hold your breath. Consistent equality impact assessments would be good and some common powers and duties across the public sector as highlighted by the Christie Commission report. Finally, a staff governance framework that sets out how all staff are to be treated in the new structures. Anyone seriously wanting to improve care integration would recognise the staff context including workloads, pay cuts and the 'race to the bottom' through outsourcing. Given the history of care integration staff will be cynical, but can be won over through early engagement and seriously addressing the staffing aspects of change. Government has a role here, but so far they have not grasped the issue. The hypocrisy of top bosses is highlighted by the TUC's annual Pensions Watch survey. The average pension pot for a FTSE 100 director increased by £400,000 last year to £4.73m - with one director alone amassing a huge pension pot worth £22.2m. The latest PensionsWatch findings show that rather than exercising restraint on their remuneration packages, Britain's top bosses are simply finding new ways of rewarding themselves. As pensions don't even bother with pretence of performance-related, there is no justification for this growing pensions divide. Private sector companies should follow the lead of the public sector and ensure that all staff are entitled to the same pension terms and conditions, irrespective of their seniority. With millions of people joining workplace pension schemes over the next few years through auto-enrolment this divide will come under ever closer scrutiny. It's time companies created a level playing field when it comes to their pension schemes. I find this hypocrisy particularly galling at present as I am spending much of my time renegotiating the Scottish Local Government Pension Scheme. Not because it needed any renegotiation, but because the UK Government decided to interfere in Scottish pensions on the back of the gold plated campaign by these hypocrites. Lets also not forget that Nick Clegg was one of those shouting about gold-plated pensions. The changes I am negotiating all have to be cost neutral. No prospect of a £400k increase in total let alone for one person. The average pension in payment in Scottish local government is £4700 - barely bronze plated. That means it takes 1,000 council workers pensions per year to fund the pension pot of one fat cat. If you need any further example of how unequal our society has become - look no further than pensions. A recent study by Cancer Research shows that almost 20,000 children in Scotland start smoking every year. They have called on the Scottish Government to act quickly on its pledge to introduce legislation on plain packaging for cigarettes. A similar move by the UK Government was put on hold earlier this year with a strong suspicion (subsequently denied) that Tory strategist Lynton Crosby influenced the decision on behalf of his commercial clients. The Scottish Government's recently published programme for government confirms that they are still committed to introducing this measure. However, for now, they are promising a consultation and legislation is not likely before 2014/15. The importance of tackling smoking amongst the young is highlighted by the statistic that eight out of ten adult smokers start the habit by the age of 19. If the tobacco industry can catch them young, they are likely to have a customer for life. While the rest of us pick up the public health tab. The second story covered the latest alcohol consumption statistics. Adults in Scotland are continuing to drink more heavily than those south of the Border. Beer, wine and cider sales are similar to England and Wales. However, Scots drink far more spirits, almost three litres per adult per year, compared to less than two litres in England and Wales. Vodka, not whisky is the tipple of preference. It should be said that the good news is that alcohol consumption overall is reducing. However, it remains to be seen if this is more about the economy than a long term shift in consumption. NHS Health Scotland also found two-thirds of alcohol sold in 2012 was below the proposed minimum price of 50p per unit. The Scottish Government has taken steps to reduce harmful drinking, with measures such as banning multi-buy discounts, and it wants to create a minimum price to eliminate cheap alcohol from the market. They believe the fact that a quarter of alcohol bought from off-sales in 2012 was below 40p per unit, and two-thirds below 50p, adds weight to its legislation to introduce a minimum price. You see it's not about profit, the measure just wouldn't be effective. A familiar refrain from big business to justify their actions over the years. In the case of tobacco and alcohol, a combination of lobbying and legal action is certainly delaying important public health measures.